If any company could get away with cramming a horribly complex user experience down its customers’ throats, you’d think it would be Palantir. The well-funded and not-so-secretive Palo Alto, California, based startup has engineered a platform that supposedly does some amazing things with data analysis, and it counts many large corporations and government agencies among its customer base. Historically, these are the types of users willing to put up with a lot of complexity as long as the technology works. On Thursday, however, Palantir acquired a small startup called Propeller in a move that underscores just how much effort Palantir has put into making its complicated system as simple as possible. Propeller’s technology helped everyday schmoes build simple, native mobile applications using a drag-and-drop interface. It was not a seasoned enterprise IT company: Propeller had raised $1.25 million in venture capital from a collection of big-name investors; co-founder Brian Rowen graduated from Stanford in 2009, and co-founder Clay Allsopp was a 2012 Thiel Fellow. It’s not clear whether the deal was for talent, technology or both (I’ve asked Palantir for comment), but one can see where this type of capability and expertise could come in handy for Palantir. The company has a lot of customers that each have a lot of individual users and teams within their own organizations that might need to interact with data in Palantir’s system. The easier it is for everyone to create mobile apps that help them do their jobs — maybe even disposable ones for ad hoc tasks — the better everyone’s lives are. But the Propeller acquisition is just the latest, and arguably the smallest, thing Palantir says it has done in the name of simplifying the user experience. In June, for example, the company described in a blog post how it built a new database system called AtlasDB. Inspired by Google’s Percolator system, AtlasDB is a transactional layer that sits atop a NoSQL datastore (or key-value store, if you will) in order to maintain consistency within the Palantir Gotham database while also helping it scale. The primary point of contact for applications and engineers is an API that theoretically works across key-value store. 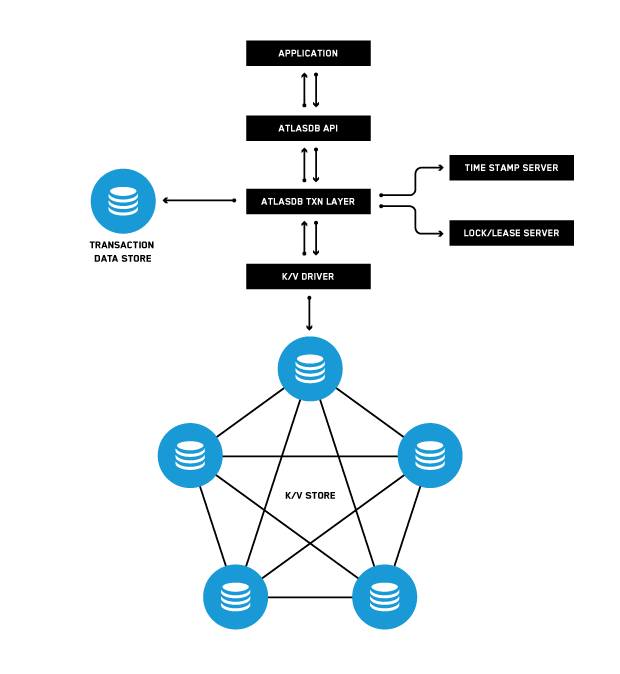 The NoSQL-transaction revolution still required a few more developments to make the burgeoning AtlasDB as engineer- and user-friendly as possible. … Rather being tied to a particular key-value store, we decided to build an API layer that exposed transaction primitives. The API layer (effectively just a code library) along with a few lightweight network services created a system that could be applied to any key-value store. The writing of the driver for any new key-value store thus became a one-day task comprising, at most, a few hundred lines of code. At our Structure Data conference in March, Palantir software engineer Ari Gesher spoke about how the 80-20 rule applies to big data, and discussed some of the ways Palantir has tried to invert that ratio. In fact, he noted, the company commits about half of its engineering resources into developing a user interface that lets people without computer science backgrounds analyze data in rather powerful ways. In other Palantir news, as first reported by Fortune, the company has been on something of an acquisition tear lately. On Tuesday, it acquired a social media analysis startup called Poptip in a deal that seems like a natural fit. Poptip specializes in applying natural language processing to monitor trends on Twitter, and many of customers Palantir’s customers have a lot of interest in tracking just that sort of thing.